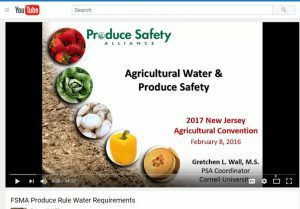 Gretchen Wall of the Produce Safety Alliance talked with growers at the NJ Agricultural Convention and Trade show about agricultural water and produce safety under the FSMA Produce Safety Rule. This recorded talk is now available at the Rutgers NJAES YouTube channel. Six training dates for the FSMA Produce Rule Grower Training Course have been set at locations throughout the state. You have heard us say it many times, hand washing is one of the most important ways of reducing the risk of human pathogen contamination of produce. 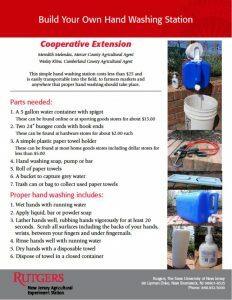 Hand washing stations should be easy to use, and they do not need to be expensive to be effective. Portability is important for field work that may take place away from fixed hand washing locations. A build your own model can cost less than $25. 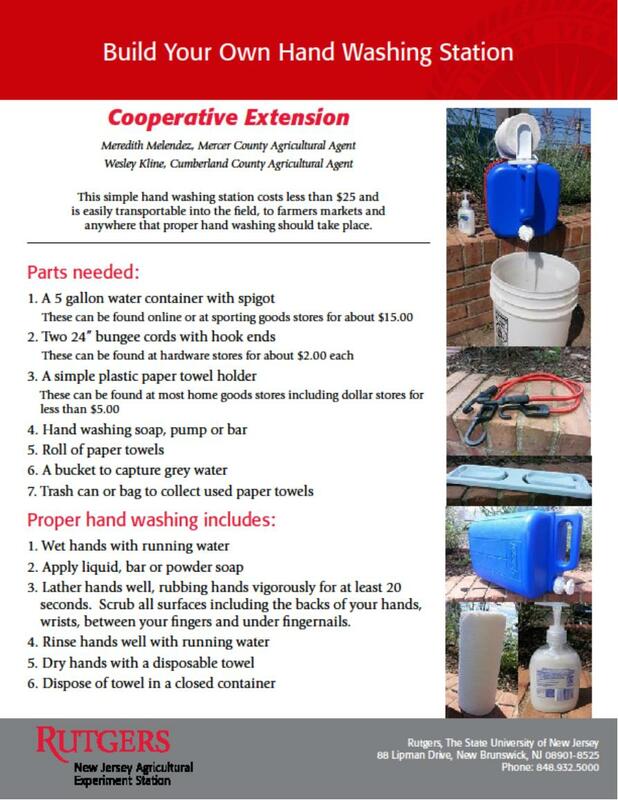 You need potable water, soap, single use paper towels, a trash receptacle and a method of catching the grey water. There are lots of options out there, you just need to be a little creative to figure out what will work best for your operation. 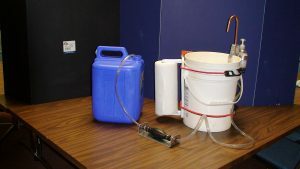 The Rutgers info sheet below shows the materials needed to build one portable model. Other options, such as the pictured hands free clip on station, are available online.